English history teaches us that Manchester was among the main cities to give birth to British Capitalism and the Industrial Revolution. Since then, and especially within the last 20-30 years, Manchester has gone through amazing and dramatic changes and it is now a city well worth visiting. This Experience initially will have you join an underground city tour for an opportunity to experience the subterranean world of Manchester as it was during WWII, including the city’s biggest air-raid shelter. This part lasts approximately two hours (unfortunately, this is not suitable for children). At the end of this initial tour, you will walk with Paul to contrast and compare the above-ground Manchester to the below. 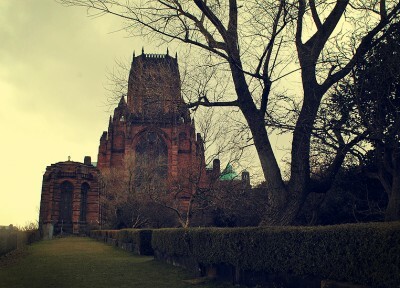 Visit the city’s cathedral and churches, the theaters, the canals, and the Northern Quarter, and grab a bite and a beer at one of the local pubs. After lunch, familiarize yourself with the city canal and river network then take a short train ride to hopefully enjoy a beautiful sunset, walking around the Lowry, another beautiful wonder for those interested in modern architecture.